If you want to have a good aerobic workout without having to mathematically figure out how you will gain desired results, jump on a cardio machine. Most cardio equipment calculates your distance, duration, number of calories burned, heart rate and even provides you with several different cardio workout options ranging from high and low intensity to interval training. More importantly, cardio machines simulate outdoor activity but with the convenience of being indoors. Treadmills are one of the most popular traditional pieces of cardio equipment. A treadmill provides high or low-intensity workouts such as walking, running and sprinting, and if you’re really creative, you can find other ways to benefit from using the treadmill. Additionally, there is an option to adjust the degree of incline to mimic that of a hill. The uphill climb tones the glutes, hips and legs more than if exercising on a flat surface. On the other hand, the treadmill is also considered a high-impact machine and is not recommended for those who have joint or back problems. You can also consider not holding on while you walk on a treadmill. Doing so reduces the intensity of the workout and diminishes the reliability of the data being provided by the machine. Elliptical cross trainers offer a great low-impact cardio workout that mimics the movement of running. The goal of the elliptical is to provide the user with a natural motion that is suitable for people at every fitness level. Additionally, some elliptical cross trainers allow for a total body workout with the back and forth movement of the handles. 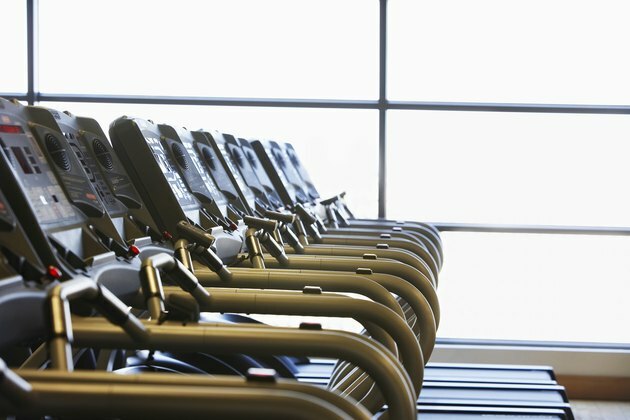 Also, depending on the brand and model, some ellipticals offer the option of changing the vertical height, which gives the feel of an uphill run. The stepper is a low-impact exercise machine that imitates climbing steps. Depending on the level of intensity, the user can train with a short range of motion that focuses more on the quadriceps or a full range of motion that engages the hamstrings and glutes in addition to quadriceps. The stepmill is a moving staircase that quickly increases your heart rate. The uphill climb is a great way to tone and shape the legs. Typically, the stepper and stepmill are more challenging compared to other cardio machines, and therefore are commonly avoided or used for a shorter amount of time. The stationary bike provides a low-impact cardio workout and comes in two styles: upright and recumbent. Using a bike eliminates foot pounding and releases pressure off your joints and legs. The upright stationary bike gives the feel of a regular bike and the recumbent bike provides a more comfortable ride with chair-like seating and back support. The recumbent bike removes additional pressure off the ankles and legs and is suitable for most individuals. Both styles of bike present an enjoyable and effective aerobic workout, with your overall comfort level being the ultimate determining factor as to which bike you prefer.